"Congratulations! You Just Lost Your J.O.B"
Many people say that they want to become an entrepreneur; however, after a few no's or failures, they mistake the process of growth and development as failure. Perseverance, dedication, resiliency, trial and error are part of the recipe for success. These authors range from those that tried every home based business, failed miserably on a first attempt and some that became heart-broken when their J.O.B (sense of security) was pulled from under them. This book will make you rethink and see how blessed you are to have lost your J.O.B Imagine, you worked 40 hrs a week, for 40 years ONLY to receive 40% of your pay...if you struggled while earning it all-what makes you think that retirement will be better? LaSean Rinique Shelton is an acclaimed International public speaker, radio personality, media strategist & Author of "Congratulations! You Just Lost Your J.O.B" LaSean has become a sought after speaker in the industry & she is prepared to break barriers & create stepping stones for the masses. She was born & raised in Jamaica Queens, NY, oldest of 3 children. She attended August Martin High School & juggled cheerleading, mixing & editing for the tech crew & various community service activities. Known as the "Motivators Motivator", LaSean encouraged her peers & those around her to do better & strive for better. 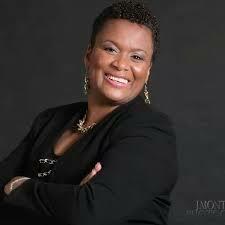 In 1990 she graduated from August Martin, & broadened her education by attending Delaware State University. While at DSU, she was dedicated & active in many activities. Her most acclaimed memories include the choir, cheerleading & being lead actress in Dr. Damus Kenyattas Play Production troop which later became a traveling production troop. After graduation, LaSean became a professional actress and was casted in several plays (off-off Broadway & local), Law & Order, NY Undercover, Improv Troops, commercials, local cable shows & several movies. Though acting was quite enjoyable, she felt something missing from her life. After being knocked down by life’s many blows, it was then that LaSean learned her true purpose in life-to motivate & encourage others to be their stellar best. Her first opportunities to motivate started at Treatment Facilities, Institutions, Churches & small businesses. She felt alive & a sense of purpose showing people how to manifest their vision to reality. Twelve years later, she has increased her market & is now experienced with assisting teams, families, youth groups, agencies, Celebrities, Churches & individuals with stellar ways to brand or re-brand their products or service, while motivating them towards success. LaSean launched Awake the Champion in you with the vision to improve as many lives possible.